Ah yes, the Democrat Party! They are the party of hypocrites, Socialists, Communists and alleged woman abusers, even though they claim to be for women, only so they can promote baby murder. In the latest hypocrisy of the party that proudly proclaims that we should listen to all women who make accusations against men who abuse or sexually assault them, except when those men are Democrats, the former usurper-in-chief Barack Hussein Obama Soetoro Sobarkah has endorsed Nevada gubernatorial candidate Steve Sisolak just days after his ex-wife leveled charges of physical abuse, complete with diary entries and photos. Lori “Dallas” Garland told The Daily Caller News Foundation that she felt like “a total prisoner” throughout her 13-year marriage with Sisolak, and said the single-father backstory he has leveraged throughout his gubernatorial campaign is “bull.” Garland also said Sisolak bruised her neck in an August 2000 incident. TheDCNF reviewed pictures of Garland’s bruised neck and a contemporaneous diary entry detailing the incident. Here's a photo reviewed by the DCNF. 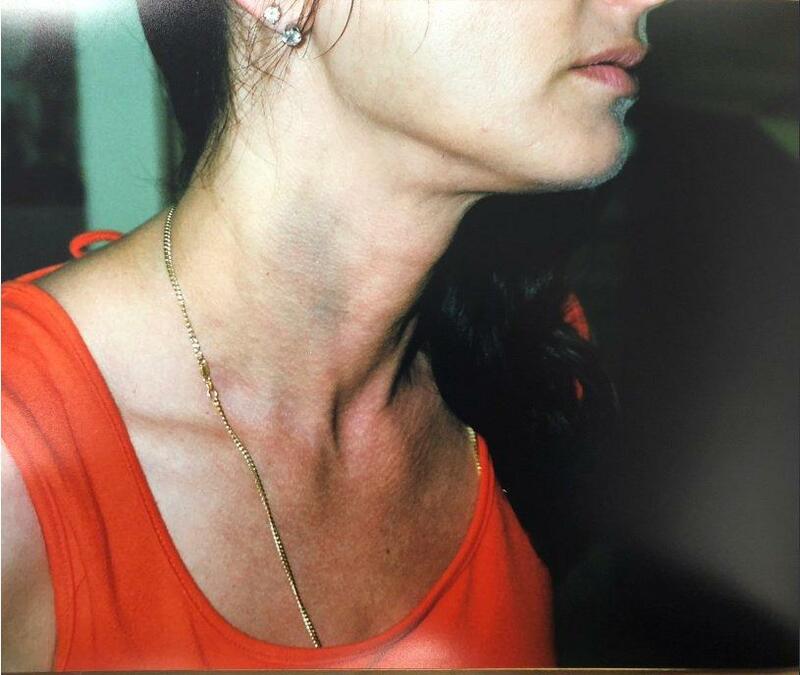 Photo Dallas Garland said was taken of her bruised neck the day after the Aug. 24, 2000, incident with Steve Sisolak. Courtesy of Dallas Sisolak. Obama appeared in Las Vegas on Monday, along with senatorial candidate Jacky Rosen, congressional candidate Susie Lee, and lieutenant governor candidate Kate Marshall. Interestingly enough, Nevada Senate candidate Jacky Rosen, who seemed to voice support for lying Christine Blasey Ford back in September by tweeting "Believe women," was strangely silent about the allegations. Is Ms. Rosen pulling a Minnesota Democratic–Farmer–Labor Party chairman Ken Martin, who said that he doesn't believe a woman and her son's allegations of abuse by aspiring attorney general of Minnesota Keith Ellison? It sure sounds like it. Furthermore, Garland recounted what took place to the DCNF. She said she tried to force her way past Sisolak. Garland said she and Sisolak pushed against each at the door for a few moments until her ex-husband suddenly “stumbled back on purpose and fell on the floor,” allegedly saying he was injured while yelling at their daughter, Carley, that she had to stay away from her “dangerous” mother. Both daughters have appeared in campaign ads with their father, and Garland disputes the claims of Sisolak that he raised the girls as a single father. One of Garland's friends also admitted that the campaign ad made her "sick." Isn't that how most politics is played? Misleading? Even more hypocritical is that way in which Democrats, who without evidence or corroboration, blasted Judge Brett Kavanaugh as though he were guilty of the charges leveled against him by the clearly mentally disturbed Christine Blasey Ford.